It is well known that dementia causes distress, however, little research has been done to understand caregiver stress and how it differs within the dementias. 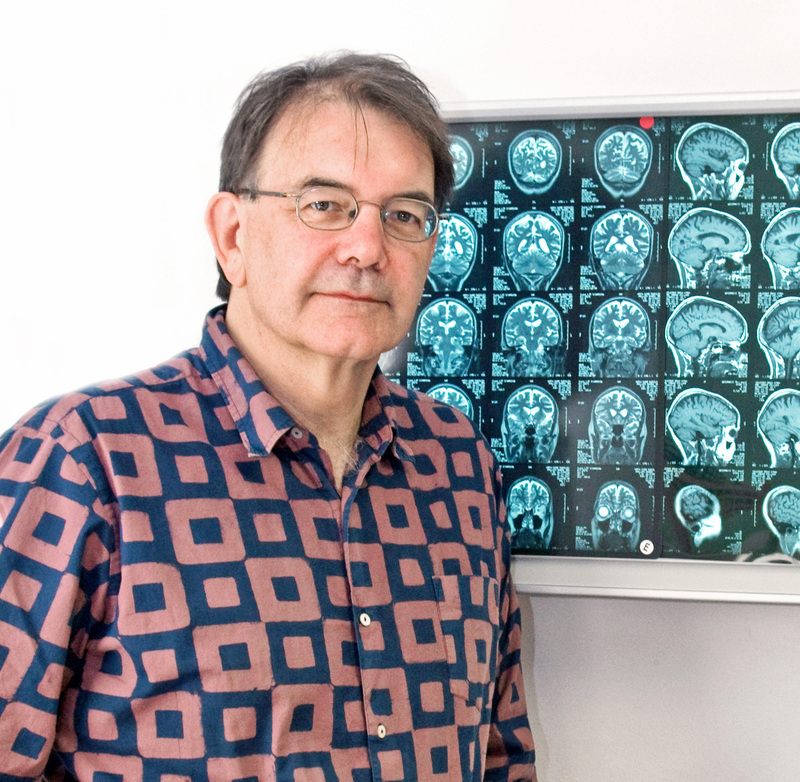 Prof John Hodges and his team are investigating caregiver distress among people caring for those with dementia and combining it with information from patients, to better understand which aspects of the condition are creating more distress for their families. The experience of burden varies across dementia syndromes. Higher levels of burden are reported in caregivers of patients with frontotemporal dementia (FTD) — a younger-onset dementia characterised by changes in personality and behaviour as well as loss of language comprehension and speech — than in Alzheimer’s disease (AD), the most common form of dementia. FTD presents with clinical variants: behavioural-variant FTD (bvFTD) produces progressive and debilitating changes primarily in interpersonal skills and behaviour, whereas semantic dementia (SD), results in a decline in language skills. Within the FTD variants, caregivers of bvFTD patients experience higher levels of burden than the language-variants of FTD. Amyotrophic lateral sclerosis (ALS) is characterised by the loss of upper and lower motor neurons and can develop in patients who have FTD. Conversely, ALS patients can manifest the behavioral and cognitive features of FTD. The trajectory of perceived burden differs across the FTD-ALS spectrum, with SD and ALSFTD caregivers demonstrating an increased burden that develops over time, compared to a persistently high level for bvFTD caregivers, which is evident throughout the disease course. The evolution of burden in these three syndromes likely reflects the initial presentation and clinical characterisation that develops with time. Psycho-education programs for caregivers, which provide better coping strategies for challenging behaviours, may reduce levels of burden experienced with disease progression. Understanding this enables professionals to give better advice and support for caregivers and families affected by FTD, and also to work on the prevention and alleviation of stress whenever possible.